The Cairo bureau chief for the New York Times publicly attacked the publication's newest conservative columnist on Saturday for a 2016 column criticizing anti-Semitism in the Arab world. 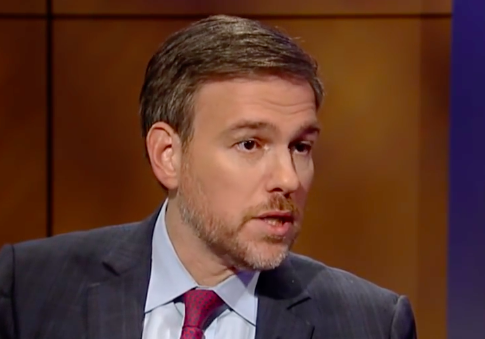 Bret Stephens, who has written for the Wall Street Journal for 16 years, surprised the media world last week by announcing he was joining the Times. "He’s a beautiful writer who ranges across politics, international affairs, culture and business, and, for The Times, he will bring a new perspective to bear on the news," announced Times editorial page editor James Bennet in a memo. But at least one Times employee was less than enthused. "Not cool," tweeted Declan Walsh, linking to a Wall Street Journal column in which Stephens used the term "disease of the Arab mind" to refer to the rampant anti-Semitism of the region. In the column in question, Stephens denounced an Egyptian Olympian who refused to shake hands with his Israeli opponent after being bested in a judo match. Stephens suggested the rejection exemplified the greater problem of anti-Semitism in Arab countries. The fact remains that over the past 70 years the Arab world got rid of its Jews, some 900,000 people, while holding on to its hatred of them. Over time the result proved fatal: a combination of lost human capital, ruinously expensive wars, misdirected ideological obsessions, and an intellectual life perverted by conspiracy theory and the perpetual search for scapegoats. The Arab world’s problems are a problem of the Arab mind, and the name for that problem is anti-Semitism. "So long as an Arab athlete can’t pay his Israeli opposite the courtesy of a handshake, the disease of the Arab mind and the misfortunes of its world will continue. For Israel, this is a pity. For the Arabs, it’s a calamity," he concluded. Stephens eventually hit back against Walsh on Twitter. This entry was posted in Uncategorized and tagged Bret Stephens, Declan Walsh. Bookmark the permalink.